This entry was posted in Health on October 31, 2018 by Gabe Little. Chances are, if you have been in the hospital for a period of time, be it for an operation or an injury, you will be released to the care of a physiotherapist. A physiotherapist is a physical therapist who works with you to make sure that you receive a complete recovery. Hospital care is expensive and in many hospitals, there is a shortage of beds and space, as well as staff. Whereas people used to stay in a hospital to recover from an illness, operation or injury for weeks, this is not standard practice anymore. In addition to being costly, hospitals often carry germs and many people end up contacting staph infections and pneumonia when staying in the hospital for a long period of time. Those who are not quite ready to go about their normal lives but are not in any danger, are often released to a rehab facility where they can be under the care of a licensed physiotherapist. Rehab physiotherapy is very common and as many rehab institutions are far more pleasant than hospitals, it is not only physically better for the patient, but psychologically beneficial as well. Rehab physiotherapy began to become standard practice in the mid 1980s. Many rehab facilities began to open for the express purpose of caring for people who were not sick enough to have to be in the hospital, but not quite ready to go home. Many of these people included those with broken bones due to osteoporosis, those who had undergone medical procedures or operations and those who had suffered a heart attack or stroke. It was deemed to be beneficial to these people for them to become fully recovered before returning home. With rehab physiotherapy, a patient will generally be transferred to a facility where there are nurses on duty and will be seen by a doctor periodically. Depending on the nature of the patient’s illness or injury will determine how often he or she will see the doctor. Nurses and physiotherapists cannot prescribe medication and for this reason, a doctor must see any patients who are taking prescriptive medicine. During a patient’s stay at a rehab physiotherapy institution, they will most likely be encouraged to do as much for themselves as possible and will have daily physical therapy sessions with a licensed physiotherapist. Since physiotherapists have different areas of specialties, a patient may see more than one therapist during the course of their stay at rehab. Depending upon the nature of the injury or illness, a patient’s treatment in rehab physiotherapy can last anywhere from two to six weeks. Not everyone who has an injury needs to be released to a rehab center. There are also many outpatient rehab physiotherapy clinics where one can go to get periodic physical therapy treatments. This happens mostly with younger people who have suffered a broken bone. As younger people tend to heal quicker, outpatient rehab physiotherapy generally lasts a much shorter time than recovery in a rehab facility. Rehab physiotherapy gives patients an opportunity to recover quickly under the care of a licensed physical therapist in the comfort of a rehab facility that is a lot more pleasant than a hospital. It is a good alternative to being stuck in a hospital room for a long period of time and much better than being sent home before one is really ready to resume an active lifestyle. This entry was posted in Health and tagged Physiotherapy, sports Physiotherapy on June 9, 2018 by . One may feel fatigued and sore after cardiac surgery; it is only natural. On the other hand, it seems altogether strange to think of embarking on a course of physiotherapy afterwards instead of just resting. Yet, that is just what is recommended. Types of cardiac surgery include bypass surgeries, angioplasty, stents, heart valve replacements, and even heart transplants. Patients having all of these surgeries can benefit from physiotherapy. Patients who have other cardiac problems can use the help too; they include victims of heart attacks, heart failure, peripheral artery disease, chest pain, and cardiomyopathy. Physiotherapy will usually begin within a couple of weeks of cardiac surgery, if not sooner. The first step is for nurses or doctors to administer a stress test to determine how much exercise one can handle. This involves walking on a treadmill or riding on a stationary bike while having one’s vital signs monitored. When the data is gathered and analyzed, a program of physical therapy will be put into place. For safety’s sake, it is often the routine to bring cardiac surgery patients into the hospital or an outpatient clinic for their exercise at first. Under the watchful eyes of nurses and physiotherapy personnel, cardiac surgery patients will be looked after as they perform their exercises. This way the professionals will be alerted if the cardiac surgery patient is having troublesome symptoms. The exercises done are cardiovascular exercises like walking on a treadmill or riding a stationary bike. After the initial period of the monitored physiotherapy has passed, cardiac surgery patients will be sent to do their exercising at home. Before they go, though, they will have been taught warm-up and stretching exercises, and when to stop. Generally, they should exercise three to five times a week unless they are having problems. Swimming is another form of exercise that is especially good for cardiac surgery patients. It is a cardiovascular exercise that is not hard on the joints, so it will often be kept up longer. The only thing to remember is that all wounds must be completely healed first. Physiotherapy for cardiac surgery patients is often not carried out by physiotherapy staff. Nurses in hospitals and clinics who are trained to deal with these areas of rehabilitation for cardiac surgery will do the work. However, physiotherapists sometimes help, and the principles are the same. The physiotherapist will instruct the patient about what activities are acceptable in the weeks and months after surgery. During the first six weeks, there will only be a few activities allowed, such as light housekeeping or going to movies, for example. From then until the third month, more activities will be added. You may be able to return to work, at least part-time, you may be able to drive. After this time, your physiotherapist will work with you to ease you back into all your old activities. If a patient has cardiac surgery and then does nothing to regain strength, that patient will soon weaken. Physiotherapy offers a means to stay in shape, or get into shape. It lends more purpose to the cardiac surgery by making the patient much healthier than before the surgery ever took place. This entry was posted in Health and tagged Physiotherapy, sports Physiotherapy on June 8, 2018 by . Physiotherapy Asthma management is a concern for about 15 million people in America. There are many different medications and other treatments used successfully for asthma management. However, some methods used are not quite proven to work. Some physiotherapy clinics claim that massage can be used for asthma management. They state that it works to relieve the symptoms of wheezing and breathlessness. They use massage on patients young and old. However, there is no substantial proof that massage does any more good for asthma management than to relieve stress. 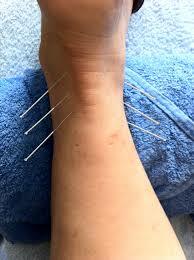 One alternative physiotherapy method that has been used for asthma management is acupuncture. There is some indication that this technique can actually have some benefit in relieving symptoms of asthma. Acupuncture does seem to help the immune system fight off illnesses. This is important in helping asthma management. Illnesses such as colds or flu will exacerbate the asthma condition. 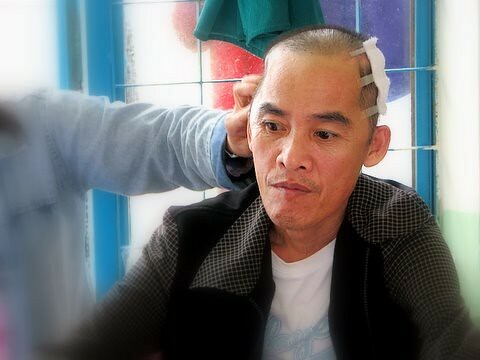 If acupuncture can reduce this, it is a great help. Yet, acupuncture is still only recommended to be used along with other treatments. It is not to be used alone. Some acupuncturists use other methods for asthma management. They might burn herbs over acupuncture points. They might give patients a certain kind of massage, or teach them breathing exercises. There is no known validity in these treatments. Chiropractors rely on spinal manipulation for asthma management. The reviews of this theory are mixed. One study compared a sham, or fake, type of spinal manipulation that was done on one group of asthma patients. The other group got the real manipulations. There was little, if any, difference between the two groups. This would suggest that chiropractic adjustments are not effective for asthma management. However, another study was done. Eighty-one children were followed through asthma management at a chiropractic clinic over a period of time. Overall, there were 45% fewer asthma attacks among these children after treatment. 30% were able to significantly reduce their asthma medications. Thus, the jury is still out on the effect of chiropractic medicine on asthma management. There is a physiotherapy specialty certification for those who wish to work with asthma management. Physiotherapists may take a test to become certified as Certified Asthma Educators, and they help people to deal with their condition. What is more, Medicare and Medicaid pay for their services. There is also some evidence that asthma management for those who have to be admitted to the hospital should involve physiotherapy. There was a study of respiratory patients who were given range of motion exercises while in the hospital. The average stay was three days less than those without the exercises. One challenge of traditional physiotherapy for asthma management is that dehydration happens easily. Asthmatics get dehydrated more easily, and it affects them in a worse way. It can even bring on an asthma attack. Any exercise plan must take this into account. There are ways for physiotherapy to be used for asthma management. Certainly, there are other methods, and research may prove these methods have value. In the meantime, some methods are better saved for alternative methods to be used in addition to medications and proven physiotherapy treatments. The subject of women’s health encompasses a range of issues that can be treated by physiotherapy. From pregnancy back pain to incontinence problems faced by older women, physiotherapy is there to help. Bladder incontinence is a problem for 13 million Americans on any given day. Although some men have this problem, it is present in much greater numbers in the area of women’s health. There are several different kinds of incontinence. Stress incontinence happens when the person coughs or sneezes and urge incontinence means the person has sudden urges to use the restroom, for example. Organ prolapse, such as a tilted uterus, can lead to incontinence, as well as sexual dysfunction. This is another area of women’s health physiotherapy can help. Physiotherapists who work in the field of women’s health can correct nearly 70% of incontinence problems. The major exercise used is the Kegel. It is a very specialized exercise, and at least half the people who try to do it on their own fail miserably. It takes biofeedback for many to get it right. Many of the problems of women’s health can be traced to the pelvic floor. The Kegel is the exercise that addresses this part of the anatomy. However, other therapies are used as well. 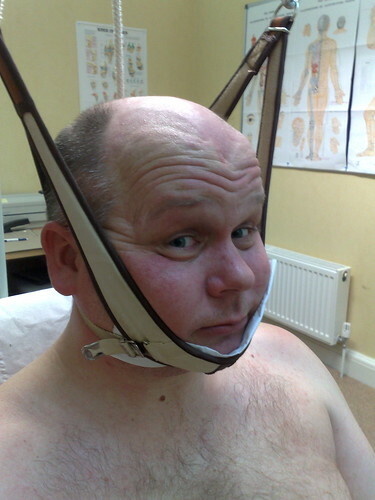 Electrical stimulation is only one of the methods used. Soft tissue manipulation is another treatment that has been tried. Pelvic pain affects many women’s health. It may come from a variety of sources. It can be due to vulvodynia or abdominal surgeries, for example. One can have pelvic pain after falling, especially if one lands on the tailbone. These conditions often curtail sexual activities and lead to an overall deterioration in women’s psychological health. Physiotherapy offers many treatments to help these problems. No discussion of how physiotherapy helps with women’s health would be complete without a word about pregnancy. Women who are pregnant know that their bodies go through various changes that can be painful. Low back pain is only one of them. Physiotherapists can help with this. Gentle exercises can be taught to relieve tension in the back. One is to lie on the floor with the knees up and press the small of the back to the floor. This gives a great feeling of relief. Other exercises strengthen the woman’s back, but few people besides physiotherapists know how far to go with exercising when pregnant. Women’s health is important at this time, and so is the baby’s. Physiotherapists can also give instructions on what amount of exercise is best for pregnant women. After delivery, physiotherapy is a boon to women’s health. It can help get women back into shape and instruct them in taking care of their new child while preventing back problems. Another area of postpartum women’s health is the treatment of women who have had cesarean sections. Physiotherapy can help women’s health because there are so many conditions that women suffer. Many of these conditions will respond to physiotherapy. It is only natural that women would turn to a tried and true method for relief. This entry was posted in Health and tagged Physiotherapy, sports Physiotherapy on June 7, 2018 by . Neurological conditions may be very severe. They can be life-threatening at times, and they can certainly affect the quality of the patient’s life. There are many neurological conditions and physiotherapy can help many of them. Alzheimer’s disease takes away the declining years of many older people. It is surprising to note that it can occur in people 40 years old or younger. ALS or Lou Gehrig’s disease is a disease that robs the brain and spinal cord of the ability to move. Both of these are neurological diseases that can be helped by physiotherapy. MS, another of the neurological conditions that affects the brain and spinal cord, can lead to a long, slow decline. Parkinson’s disease is another of the neurological conditions of the brain. This one can cause shaking and loss of coordination, and problems moving and walking. Physiotherapy offers some relief to these patients. Guillain Barre Syndrome is one of the types of neurological conditions that affect the brain and spinal cord too. It is a case of the person’s own immune system attacking outside these areas. It can be severe enough to require emergency hospitalization. Physiotherapy offers help with regaining strength and adapting to life with the disease. Neurological conditions that are autoimmune diseases are difficult to treat. Myasthenia Gravis is one such illness. It causes muscular weakness because of a lack of communication between nerves and muscles. Like other neurological conditions, it can be very debilitating. A great amount of physiotherapy is needed to help Myasthenia Gravis patients to live with their neurological conditions. This includes strength training, training in the use of supportive devices, and help with common tasks. One problem physiotherapists face when working with MG patients is that too much exercise will make their condition worse and not better. Many of the patients with neurological conditions cannot carry on daily functions such as caring for themselves and their homes. It is not uncommon for these people to be unable to work. They may even have trouble walking or getting up and down stairs at all. Difficulty swallowing or breathing; dizziness, poor balance and falls, and a total lack of endurance plague many of these patients who have neurological conditions. Medications or surgeries can help with some of their problems, but many problems are ones they will have to abide. Physiotherapy can offer solutions that other branches of medicine cannot. Exercises, as in most physiotherapy, include strengthening and stretching exercises. In whatever way is possible, patients with neurological conditions need to get aerobic exercise. Physiotherapists may be able to make a plan so that this is possible. Part of this plan for patients with neurological conditions would include balance training and coordination training. With these two skills in place, the patient will have a more advanced ability to do aerobic and other exercises. Aquatic exercise is also used. Patients with neurological conditions must live with many problems of lack of movement and function. Physiotherapy can help them to overcome some of these problems. It can make their lives easier and more pleasant, besides. Physiotherapy is the medical practice of manipulating parts of the body to insure movement. Physiotherapy was first practiced in the early 1920s and people who perform this therapy today are often called Physical therapists. Physiotherapy is used to treat many different medical problems, including chronic illness, pain, disease and injury. Physiotherapy to treat back pain is one of the more common reasons people seek this treatment. Back pain is the most common reason for people in the United States to seek a physician. It is estimated that complaints of back pain account for more than 80 percent of doctor visits each year in the United States alone. There are many different types of back pain and the most common is lower back pain. Lower back pain can be caused by a herniated disc, often called “a slipped disc” or a muscle spasm in the back. It can also be caused by a torn ligament. There are many ways to injure your lower back and most medical doctors will simply prescribe pain medication until the condition subsides. In most cases, improper lifting or bad posture is the culprit in lower back pain. Some people with lower back pain experience the pain all of the time. This is called “chronic” back pain. Often, those who experience chronic back pain will opt to work with a physiotherapist to try to alleviate the back pain so that they can function normally. It is often preferable for people with chronic back pain to use physiotherapy to treat back pain than to undergo elective surgery for this problem as the surgery can often carry some risks. Some of the risks include making the pain actually worse or even causing paralysis. When using physiotherapy to treat back pain, the physiotherapist will manipulate the spine in certain ways to try to alleviate the problem causing the pain. In many cases, if the problem is a herniated disc, the physiotherapist can move the disc back into place, eliminating the pain. If the problem is a torn ligament, the physiotherapist can massage the ligament and offer some form of treatment until this injury subsides. Only a licensed physiotherapist should be permitted to work on someone who has back pain. It takes years of education to become a licensed physiotherapist and those who study are adept at not only determining what causes the back pain, but what will alleviate the symptoms. Physiotherapy to treat back pain has become even more common in recent years, particularly in the instance of a herniated disc. Operations to repair a herniated disc are not only expensive and cause someone to be immobilized for a period of time, they carry an element of risk. If you have lower back pain and want an accurate diagnosis as well as treatment options and relief from pain, seek out a licensed physiotherapist. Physiotherapy to treat back pain is one of the most popular methods in the United States being used to treat those with chronic or acute back pain. This entry was posted in Health and tagged Physiotherapy, sports Physiotherapy on June 6, 2018 by . Over the years, there has been a tremendous change over the attitude of the medical community regarding physiotherapy. Decades ago, the only people deemed suitable to treat any injured person, no matter what the injury, was a medical doctor. Anyone else who tried to use manipulations or massage or even exercise therapy was considered by the medical community to be a dangerous quack who had no business in the profession. Patients recovering from illness or operations or even childbirth were encouraged to stay immobile and get plenty of bed rest. Nurses would often turn patients so they wouldn’t develop “bed sores” from lying in the same place for too long. The attitude of the medical community regarding physiotherapy was passed on to patients as well as insurance companies who refused to pay benefits for treatment from non-doctors. But physiotherapy is not a new science, it is an ancient art that has been practiced for thousands of years. Gradually, people who were dissatisfied with treatment they were receiving from their doctors, or who didn’t want to become hooked on painkillers, began seeking alternative medicine to relieve their aches and pains. Many found success with physiotherapy and told others. The medical community began to take notice and also began to realize what Hippocrates knew about movement and blood clots in immobile patients. As a result, over the past few decades, the attitude of the medical community regarding physiotherapy went from being dismissive to acceptance. One of the first modern benefits of physiotherapy was seen during the polio epidemics of the 1930s and 1940s. 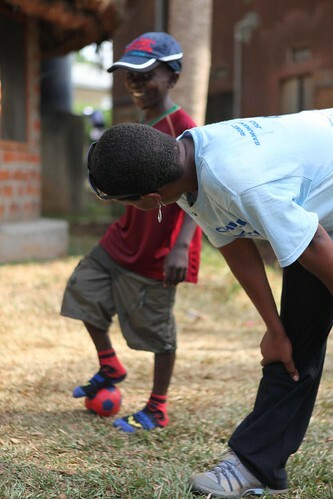 With the help of those who understood something about physiotherapy, many children were able to walk. Sadly, many who relied on the sole knowledge of medical doctors remained crippled. It was evident, even then, that manipulation, exercise and massage could benefit children suffering from this crippling illness, but it still took many more decades before physiotherapy was accepted into the forefront of medical society. 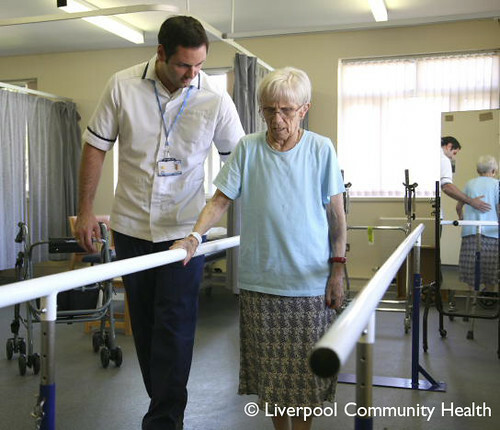 Today, doctors work alongside physiotherapists to provide the best care and recovery options for their patients. While a doctor can diagnose an illness, relieve symptoms with medication, perform surgeries and recommend the best treatment for an illness, disease or injury, a physiotherapist can enable a person who is recovering from such procedures to make a much quicker and safer recovery. Years ago, women who gave birth in the hospital were advised to lie down as much as possible and often spent a week in the hospital after a vaginal birth. Today, women are encouraged to move around as much as possible and are often released after only 48 hours after giving birth. Nature has not changed; but attitudes about movement and medicine has evolved. It is no longer considered advisable for people to stay immobile for weeks on end without some sort of physical therapy. This is where the physiotherapist comes in. The attitude of the medical community regarding physiotherapy has improved greatly over the years and particularly during the past several decades. Today there are thousands of opportunities in this field for those who wish to aid the recovery of patients in a safe, effective manner. Just as there is with any type of medicine, there are also different types of physiotherapy. Physiotherapists practice in many different areas and physiotherapy is used to treat a variety of conditions, illnesses and diseases as well as in rehabilitation of patients who have suffered a broken bone, back or neck injury or even a stroke or heart attack. One of the most common types of physiotherapy involves those who work with back and neck injury patients. These therapists gently manipulate the spine to either lessen stiffening from a neck injury, ease muscle tightness in the neck or back, or even manipulate a herniated disc back into place. These physiotherapists are very familiar with the spinal column and how it affects our health. Many people seek treatment from such physiotherapists whenever they have a back or neck injury, both of which are very common. Others seek treatment from such physiotherapists to alleviate symptoms from migraine headaches, which many believe is the result of a misaligned spinal column. Other different types of physiotherapy include therapists who work with people who are immobilized in a hospital. Although they may not be able to move, for many different reasons, it is imperative that blood circulation continues in their extremities. Although there are special “boots” that patients can wear to continue blood circulation in their legs, physiotherapists often work with such patients, including those in a coma, to insure that movement continues in the extremities and atrophy does not occur. Still yet other types of physiotherapy involve working with injured people who are trying to walk again after a spinal injury or stroke. This takes much time and can be painful for the patient, but he reward can be the difference of spending the rest of their lives in a wheelchair or being able to use their legs again. In cases such as this, a physiotherapist is invaluable and can make a great impact on the patient’s life. This is one reason why, unlike doctors, physiotherapists make a concerted effort to befriend their patient and establish a bond. Other types of physiotherapy concentrate on helping those with illnesses such as Parkinson’s disease, Multiple Sclerosis, Cystic Fibrosis, Muscular Dystrophy and other disabling and life threatening conditions. Others treat children and are called pediatric physiotherapists. 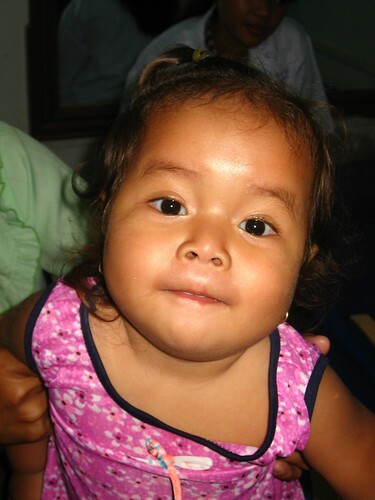 They mainly concentrate on children with disease present at birth or those with broken bones. There are many different types of physiotherapy and all have a great benefit to the medical community. Over the past few decades, more people have opted to go into this profession that offers patients recovering from illness, accident, surgery or who have a disease or condition that requires movement, a chance to live a longer, more productive and pain-free life. Physiotherapists practice in hospitals, rehab facilities and even in private offices. Some physiotherapists specialize in treating homebound patients, such as the elderly, and make home visits periodically to maintain movement for those who are bedridden or unable to walk. Physiotherapy is a growing science and well respected in the medical community. There are many different types of physiotherapy and newer developments within this scientific field are emerging all of the time. This entry was posted in Health and tagged Physiotherapy, sports Physiotherapy on June 5, 2018 by . When shin pain occurs during running, the condition is commonly referred to as Shin Splints. 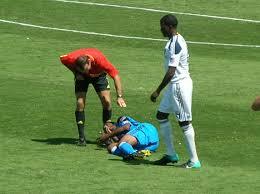 However, sports medicine professionals refrain from using the term since it can be misleading. People often assume that shin pain and ‘Shin Splint’ are synonymous terms. However, both may actually be mere indicators of a variety of other conditions. Medial Tibial Stress Syndrome is one of the prevalent skin conditions which have been referred to as ‘Shin Splints’. – This occurs when there is the inside border of the shin bone creates a stress reaction. This stress reaction usually signals a stress fracture. – This type happens when an irritation persists on the point in the shin bone where the Soleus and Tibialis Posterior Muscles are attached. Commonly caused by overuse, The Medial Tibial Stress Syndrome typically affects people who regularly run on hard and/or uneven surfaces. However, the risk of developing the syndrome may be increased by a range of other factors such as the altered posture of the foot, knee and hip. For those afflicted with the Medial Tibial Syndrome, the duration as well as the end of a workout will produce a feeling of pain coming from the inner border of the shin. However, a proper diagnosis of Medial Stress Syndrome may only be made once Compartment Syndrome, Tibial Stress Fracture and other sources of shin pain are effectively ruled out. Confirming the diagnosis will entail a complicated process of investigations. With the supervision of a sports physician or orthopaedic doctor, bone scans and compartment pressure tests may be utilized. Ice therapy is an ideal way to give immediate pain relief to the injured person. Applying ice packs directly to the skin may cause ice burns so extra care is needed when implementing this form of treatment. Moreover, pain will be effectively alleviated if the initial treatment of this injury is guided by the PRICE protocol: protection, rest, ice, compression and elevation. As for the ice packs, they must be applied every few hours, for twenty minutes each time. If the pain continues to persist, pain-relieving medicines and anti-inflammatory gels may be used. In many patients, symptoms are easily treated without surgery. With rest, the patients will also engage on exercises designed to improve their flexibility and strength. Gradually, the symptoms will subside and the patient will be able to return to activities like running. A physiotherapist or podiatrist may also perform a bio-mechanical analysis, a procedure that examines the posture of the shin during rest and while walking as well as running. This analysis will help prevent the recurrence of the injury since it can reveal the factors that may be increasing the patient’s risk to Medial Tibial Stress Syndrome. As a result, measures may immediately be implemented to correct the detected injuries. A physiotherapy analysis may also detect the presence of muscle imbalance, leg length inequality as well as other causes of mal-alignment. Medial Tibial Stress Syndrome is also usually caused by other conditions such as that of pes planus or flat-footedness. Another common cause is the pronated foot position, a condition in which running causes the arch of the foot to be lowered involuntarily. This produces pain since the lowered arch increases strain on the Tibialis posterior muscle which in turn pulls on the inside of the shin. This condition and many others can effectively be diagnosed through a bio-mechanical analysis. Continuing with exercise or any physical activity may worsen any existing shin condition so it is advisable to get a chartered physiotherapist or orthopaedic consultant to assess the shin pain immediately. However, if the patient wants to maintain fitness during treatment of the injury, non-weight bearing exercises in the pool may be ideal. In order to have a low-impact workout while allowing the injury to heal, the patient may opt to use a buoyancy belt in order to do some running exercises in the pool. The buoyancy belt will keep the patient’s feet from touching the floor of the pool, effectively eliminating any possible strain on the injured leg. In the instance that a doctor finds that the shin pain is actually a soft tissue problem, the patient may uses a compression sleeve. The sleeve will allow them to run while continuing with the treatment of the injury. While running, the sleeve will limit the pull of the muscles on the shin, thus reducing stress. Although compression sleeves do not present s cure, they can reduce symptoms while allowing the runners to engage in some level of physical activity. If the Medial Tibial Stress Syndrome does not respond to conservative treatment, surgery may be considered. Typical of injuries involving overuse, Medial Tibial Stress Syndrome results from untimely participation in excessive physical activity. Physical activity must always increase gradually especially when starting or altering a fitness regimen. For instance, when a runner suddenly decides to run for 10 miles today even though his usual routine calls for only 2 miles of running, he inevitably puts his body at risk. Such a danger can be prevented through the maintenance of a running log. The use of running shoes with Shock Absorbing Insoles will provide better support and help reduce the stress placed on the shins. Correction of activities like flat feet and fallen arches may also prevent the development of Medial Tibial Stress Syndrome. If fallen arches seem to contribute to shin pain, the Aircast AirLift may be used to provide better support. The Aircast AirLift utilizes aircells which lift the arch of the foot, this results in considerably less pressure on the arch and on the Tibialis Posterior Tendon.